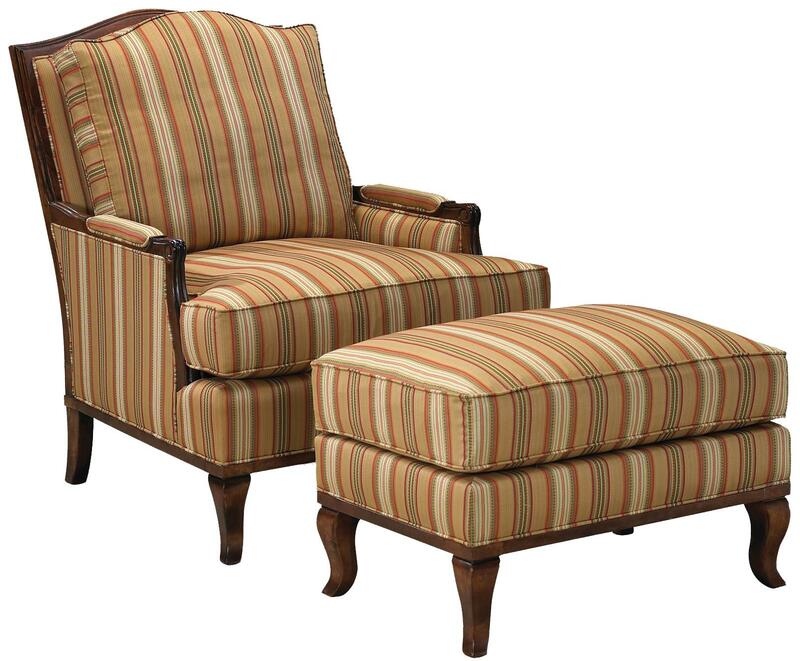 This traditional chair and ottoman combination is great for adding style and comfort to your home. The lounge chair features an elegant curved crown with exposed wood arms and cabriole legs. 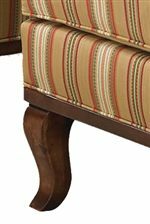 Matching cabriole legs are also featured with the ottoman, with a plump seat cushion on top. Paired together, this chair and ottoman offers a stylish place to lounge and relax in your living room. The 1416 Exposed Wood Lounge Chair and Ottoman by Fairfield at Lindy's Furniture Company in the Hickory, Connelly Springs, Morganton, Lenoir area. Product availability may vary. Contact us for the most current availability on this product.